Java has a rough history with logging. Over the years, several new standards and “de-facto” standards have been created, yet most older standards remain in use. We often encounter a combination of current and vintage logging implementations as we pull in dependencies. Java Util Logging (JUL) — Older library that is built into Java. Works, but lacks options. Never really caught on. 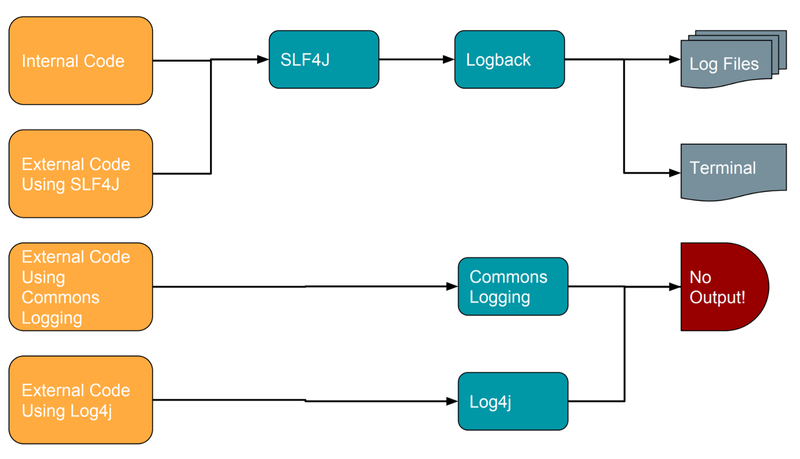 Apache Commons Logging — Apache library for logging. To add confusion, this is usually referred to as JCL because it was historically called Jakarta Commons Logging. Is used by several AWS Java client jars. Log4j — Also from Apache. Popular option. The Chemistry Development Kit’s default logging implementation is backed by log4j. 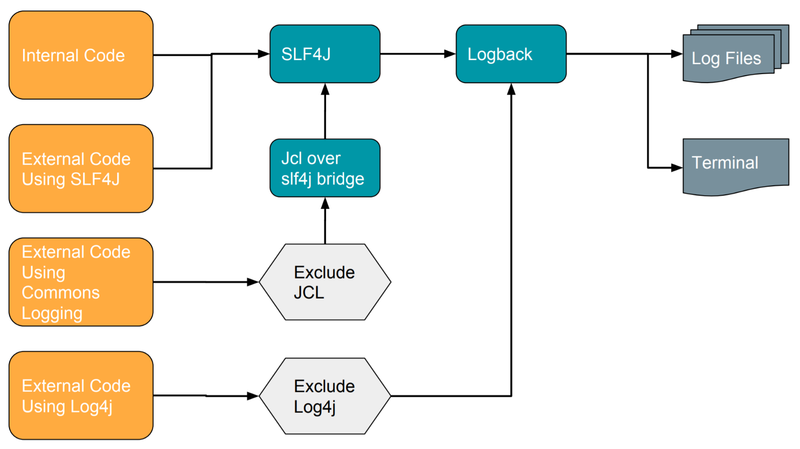 SLF4J — Generally just the logging interface with actual logging being deferred to a separate implementation. Logback — Implementation of SLF4J that can also function as an implementation for the other logging types. 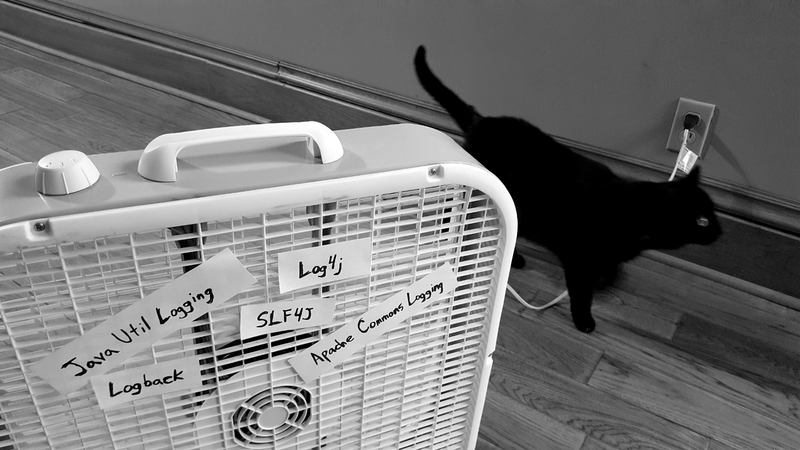 We picked SLF4J as our logging API. It’s widely used and there are many logging implementations that support it. 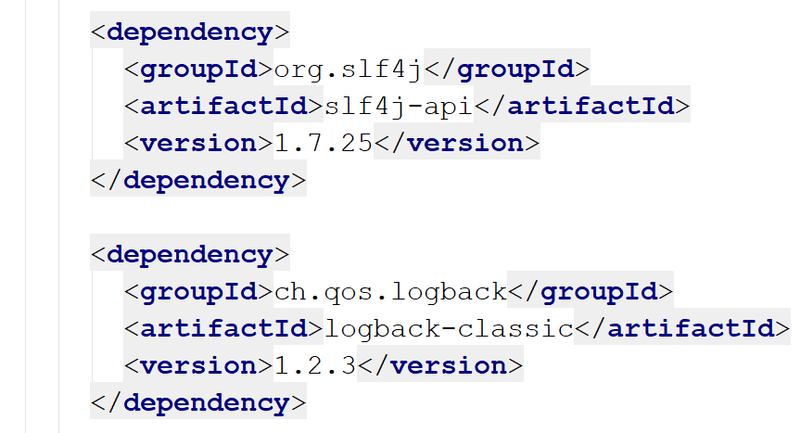 Example of selecting SLF4J and basic Logback implementation via Maven. Example of adding a bridge via Maven. Example of excluding commons-logging with Maven.